written by Iain Kennedy June 11th, 2006; Dunkeld pictures added June 14th, 2008; additional quotations from Norman MacDougall added 3.12.09; minor edit 28.6.11. 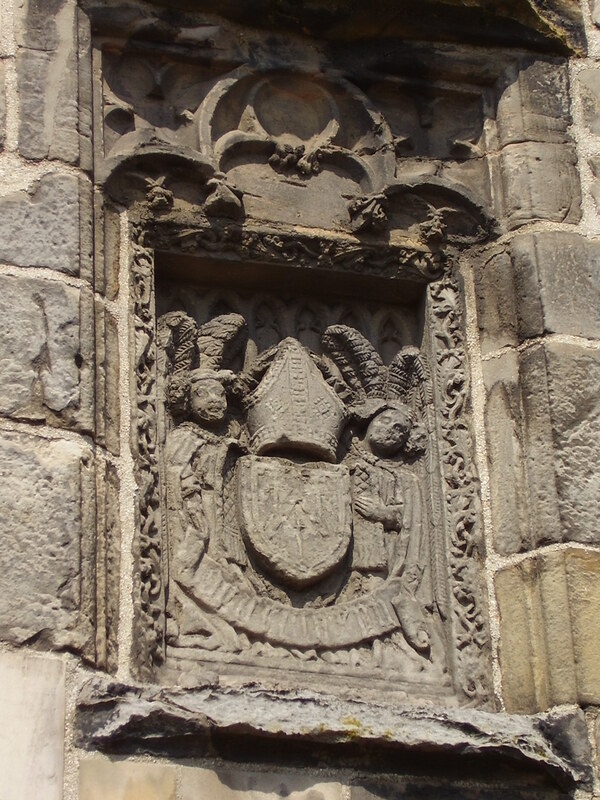 James Kennedy was the third son of Sir James Kennedy of Dunure and Mary Stewart, the daughter of King Robert III. He was appointed Bishop of Dunkeld by his uncle King James I in 1437. These were tumultuous political times and just weeks after the appointment the King was assassinated. 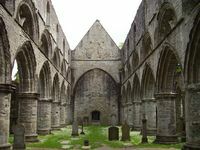 In 1440 he was appointed the ultimate honour, the bishopric of St. Andrews. 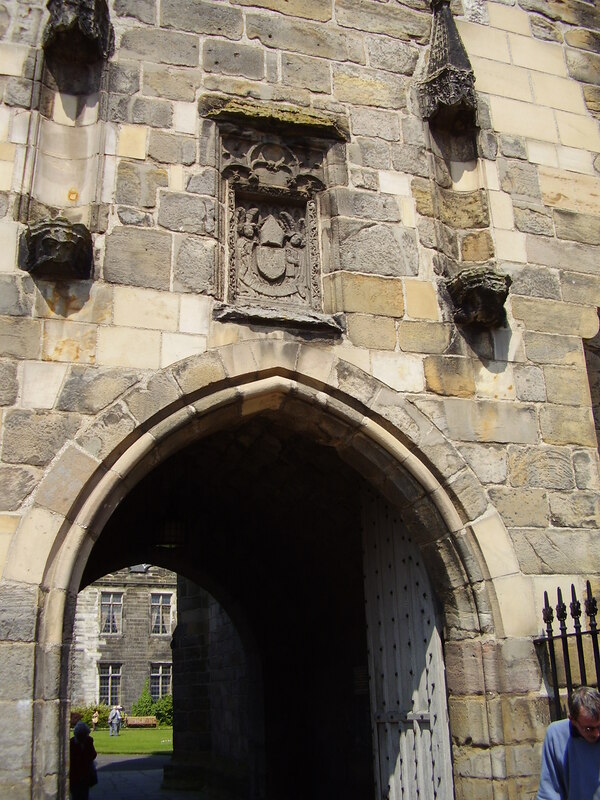 It was here that he made his best known contribution to Scotland; the founding of St. Salvator's College, laying the foundation stones himself on 27th August 1450. Originally the college was designed to be a college of Arts and Theology 'for the praise of God, the strengthening of the Church, and the increase of the Christrian religion', to quote the Charter of Foundation. When James II died in 1460 his son was still a minor and the Bishop and the queen mother strived for control of the throne. This rivalry was only resolved by the death of Mary in 1463 and for the last three years of his life, Bishop James had sole control as regent. The Bishop's niece Katharine (Kate) (his brother Gilbert's daughter) gave her name to a student association at the University, the Kate Kennedy club. Every year the club organises a procession through the town, in which a male first year student traditionally plays the role of Kate Kennedy. 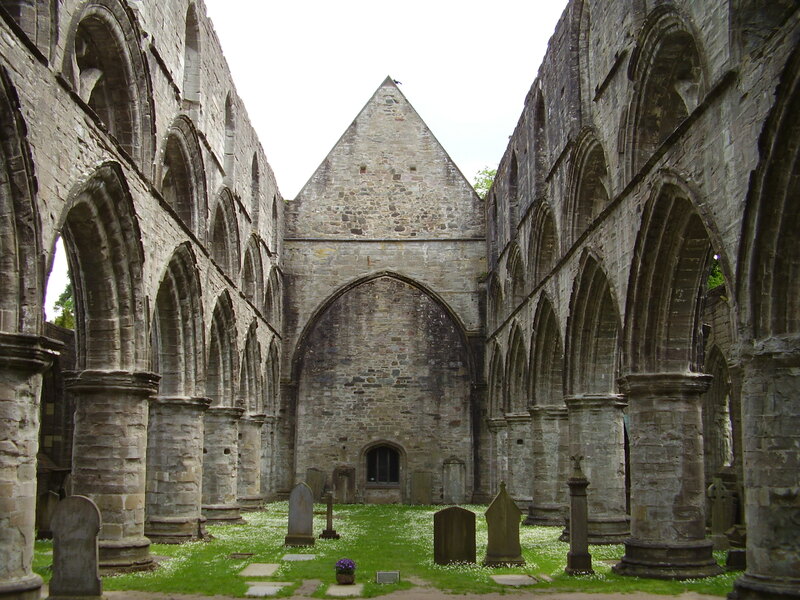 Bishop Kennedy died at St. Andrews on 24th May 1465 and was buried in the chapel he founded. 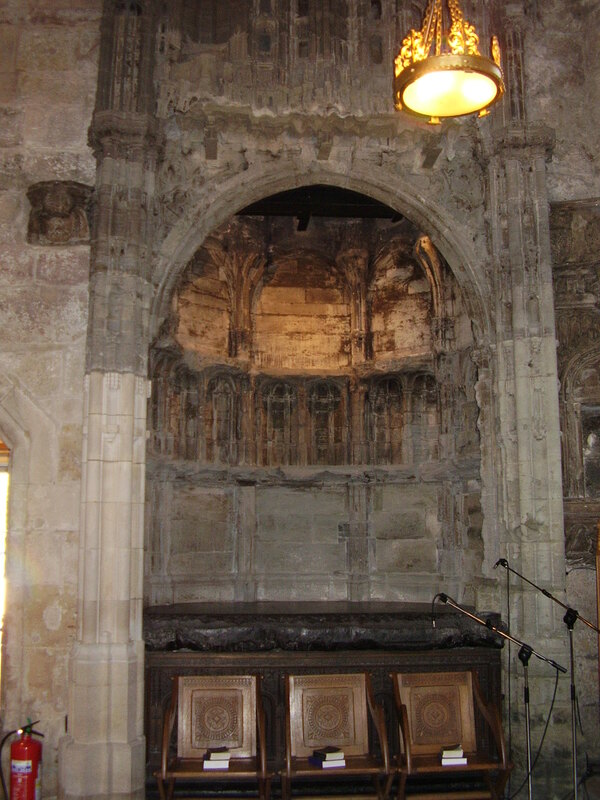 His tomb can be seen in full view on the left side of the altar although it was damaged during restoration work at one stage when the roof fell in. Upstairs in the organ loft he is further commemorated by a stained glass window. 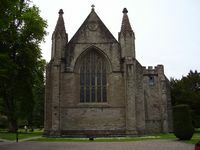 His arms lie over the archway which leads by the side of the church into the quadrangle, and on the main oak doors to the chapel. 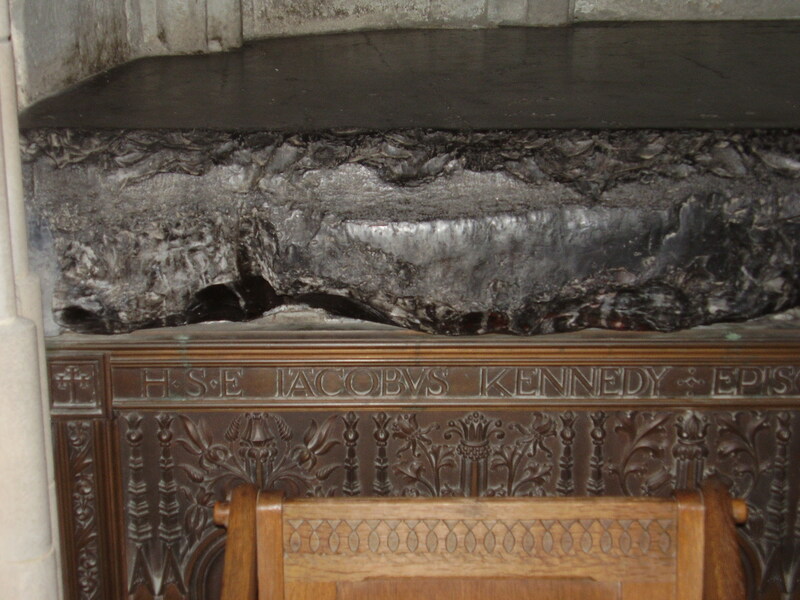 One historian who presumably would not call Bishop James the greatest Kennedy is Norman MacDougall. In an essay in 'Church, Politics and Society', MacDougall points out that James is barely mentioned in the only contemporary chronicle of the times, the Auchinleck Chronicle. His argument, albeit speculative, is that 16th century historians starting with John Major in 1521, embellished his role to make up for the personal shortcomings of the queen mother Mary of Gueldres. 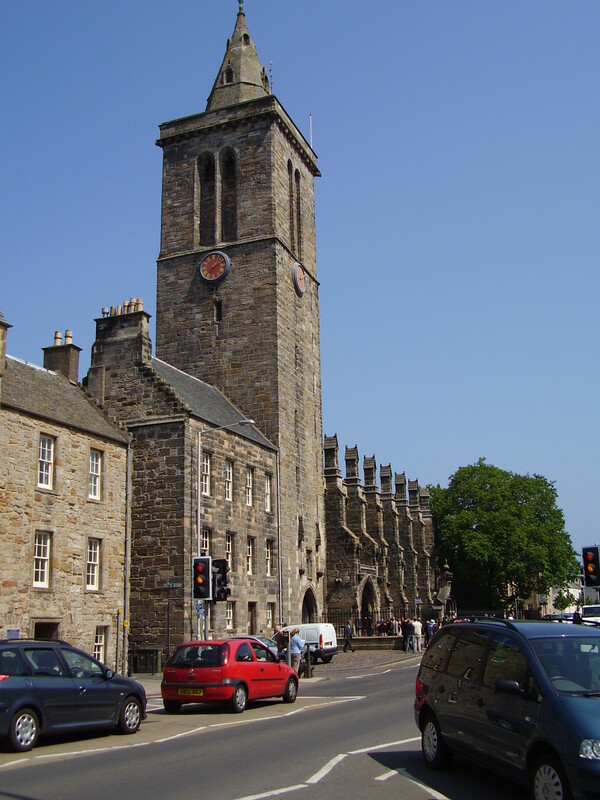 St Salvator's Chapel - A history and guide, St Andrews University Publications, 2004.